I’m majoring in Pharmacology and Finance. Before I chose them I’d heard positive feedback from friends and family. Being in my third year now, I can definitely understand where they were coming from. The Pharmacology major, in particular, is a very well structured course. While it seemed a little daunting at first, I’ve grown to really enjoy pharmacology labs and practicals. Getting to know not only my peers but the pharmacology staff during the lab sessions has been awesome and has made studying a lot easier and more enjoyable. I very much enjoy having a second major in Finance as it keeps my study at UWA a little more dynamic and has broadened my social group. My favourite aspect of studying at UWA has been making friends through clubs and societies like the Science Union. Getting involved in clubs was one of the best decisions I have made. They’ve secured me a wonderful group of friends I could call family, and the passion in advocating science we all have only makes it better. The Bachelor of Biomedical Science is an exciting undergraduate degree that is designed to meet growing global demand for graduates with health expertise. You can specialise in one or two of the 13 majors available in this degree, or combine a Biomedical Science major with a major from Arts, Commerce or Science, in line with your unique interests and career goals. As a Biomedical Science student, you'll be taught by world-class researchers in cutting-edge laboratories and tutorial rooms both at UWA's main campus and at the Queen Elizabeth II (QEII) hospital campus. As a graduate of this course, you may pursue a career or further study in areas as diverse as clinical practice, medical technology, medical research or public health. Are you interested in advancing health outcomes in your community? The Bachelor of Biomedical Science is a practical degree which equips students with the essential knowledge and skills to impact the health of people and populations. You'll first gain a sound understanding of how the human body functions in healthy and diseased states, barriers to health care and methods for treatment. This degree could lead you to a career in designing medicines to alleviate symptoms or vaccines to prevent diseases, or impacting public health policy. I was in hospital for most of high school with kidney disease caused by an unusual bacterium and that really sparked my interest in the field and the impact these microscopic organisms can have on people’s lives. UWA has been an integral part of my family for decades. My dad studied medicine here 40 years ago and has been taking me and my siblings to open days since we were able to walk. The lab work is by far the most interesting part of my course. It’s great to be able to put into practice all the things you are learning and get a taste of the work you’ll do in labs once you graduate. 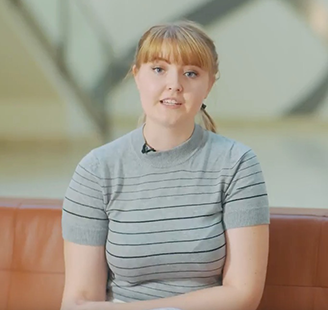 Studying postgraduate medicine and specialising in immunology or going into research would be my ideal career path – and maybe a Nobel Prize for Medicine if I can fit it in. The Bachelor of Biomedical Science offers 14 majors. You can choose one or two majors within the Bachelor of Biomedical Science or select your second major from those available in the Bachelor of Commerce, Science or Arts degrees, giving you the opportunity to pursue your unique interests and career goals. UWA is ranked 24th in the world for Life Sciences (Academic Ranking of World Universities).